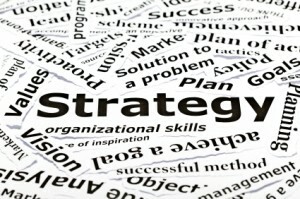 The concept of a business word strategy is very simple. It’s about saying the right things, in the right place to the right audience. Or put another way, saying the right words, in the right marketing medium to your target market. However, this simple definition disguises the hard work involved in putting one together. And so you may have avoided doing one and instead taken an ad hoc approach and left it to chance. The problem with this approach is it’s a risk. You could get your message wrong, fail to appeal to your target customer or get ignored. Yet many business owners fail to pay sufficient attention to this valuable activity. In fact, they often see words as, well just words and neglect the strategic thinking that underpins saying the right thing. If you want results, an audience and healthy sales you need a word strategy. First you need to know what your customer wants to read. And to find that out you need to do your research. Aim to understand the keywords and phrases a target customer uses to find your products and describe their problems. You see, if you use their language, not only will you increase the likelihood of getting found on Google, you’ll also build rapport with the very people you want to be talking to. Ask 🙂 If you’ve signed up to my email list you would have been asked to let me know what your major challenges and issues are. The reason for asking that is to ensure I can target my blog post writing so it tackles the things people want to read about. BUT in addition, this feedback also tells me precisely how readers are phrasing the problems they have. Information like that is gold dust. Keyword research: SEO is not just about getting the attention of Google to boost your organic rankings, it’s also about using the words and phrases customers use to find your products and services. I use Copyblogger’s Scribe software, but there are loads of free keyword tools out there. Google’s is a great place to start. Blog comments: As well as providing social proof, blog comments offer a further valuable insight into the heads of your target audience. Once you’ve discovered what will interest your target customer you need to go about crafting the right message. And to do that you need to use persuasive writing techniques (copywriting). There are so many options for getting your message out there that it can be overwhelming and difficult to know what’s the right choice. Grow your reputation as an expert is your niche: Content marketing is really effective for this. Consider things like blogging, guest blogging, article writing, answering forum questions etc. In short, seek out opportunities where you can demonstrate what you know. Attracting traffic to your website: Strategies like PPC, guest posting, quality blogging and social media networking can help. Selling a product / service: Sales letters, dedicated landing page and an autoresponder series work well for this goal. Building your email list: Add an email opt in form to your website, then incentivise subscriptions with a free expert product. The opportunities are endless and your creativity (and time) are your only limitations. You may have the best message and have combined it with the perfect medium, but if you put your words in front of the wrong people you’ve completely wasted your time and effort. So how do you find the right audience? The first thing you must do is know who your ideal customer is. Some businesses make the mistake of believing their target audience is everyone. Unless you’re a multi-national, mass market producer of something likes crisps or snacks this is almost never true. Instead you need to acknowledge your niche and get really clear and specific on who you best appeal to. This takes some time and effort, but it’s well worth it. If you want some structure to help you identify your target customer, read this post. Ready to start working on your word strategy? I’ll explain more in future posts. But in the meantime, if you’d like to talk things over with a wordie, drop me an email to georgina@gemwriting.co.uk or leave your questions in the comments below. And if you’d like to work together on your word strategy, check out my new consultancy and critique services. Congrats on the redesign, it looks smashing now! Sensible as ever, so ovbious when you spell it out but talking at the same level as your audience using the words they are familiar with is a must.